Chu, the adorable panda with a great big sneeze, is heading off for his first day of school, and he’s nervous. He hopes the other boys and girls will be nice. Will they like him? 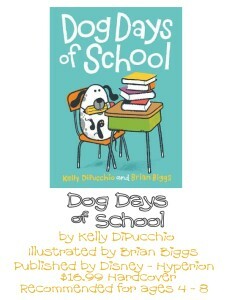 What will happen at school? And will Chu do what he does best? 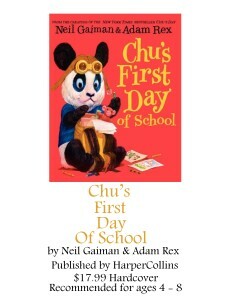 Chu’s First Day of School is a perfect read-aloud story about the universal experience of starting school. 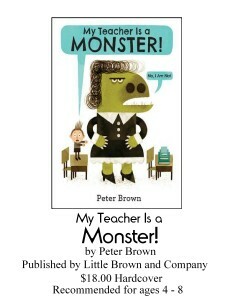 Dinosaur is starting preschool today. ROAR! There are new friends to meet, dress-up outfits to wear, glitter and googly eyes to paste, musical instruments to play, and snacks to eat. What’s not to like? But then, oh, no! It’s Dinosaur vs. Clean-up Time! Fortunately, when friends work together, EVERYONE WINS! 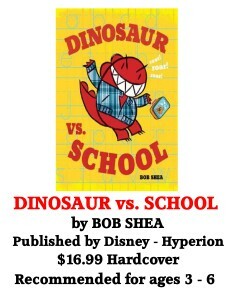 With all the bright colors, bold lines, and toddler-like exuberance that have made the previous Dinosaur vs. books irresistible, DINOSAUR VS. SCHOOL will both amuse and reassure anyone going off to school for the first time. Mr. 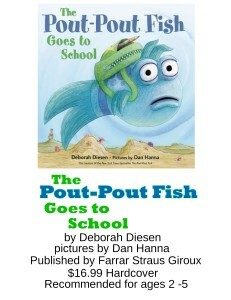 Fish is nervously awaiting his first day of school, and he frets about not knowing how to write his name, how to draw shapes, and how to do math-until he’s reassured that school is the perfect place to learn how to master all of these new skills, in this new Pout-Pout Fish book from Deborah Diesen and Dan Hanna.